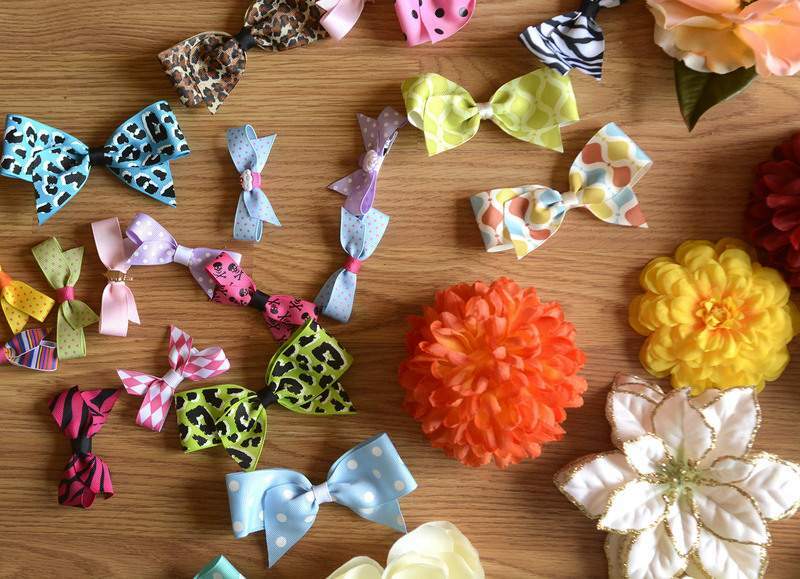 Samuel Hoffman | The Journal Gazette Jessica Montalvo owns Flairware Boutique, an online store. She is also a member of the Greater Fort Wayne Hispanic Chamber of Commerce. 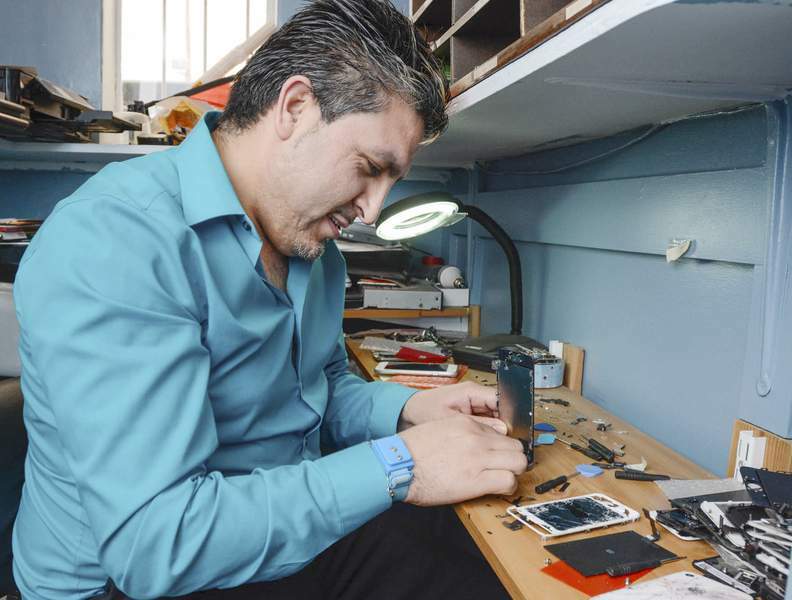 Michelle Davies | The Journal Gazette Cesar Ruiz, 31, owner of Wayne PC Tech and vice president of the Hispanic Chamber, repairs phone screens Monday in his shop on South Calhoun Street. Michelle Davies | The Journal Gazette Cesar Ruiz, owner of Wayne PC Tech on South Calhoun Street. 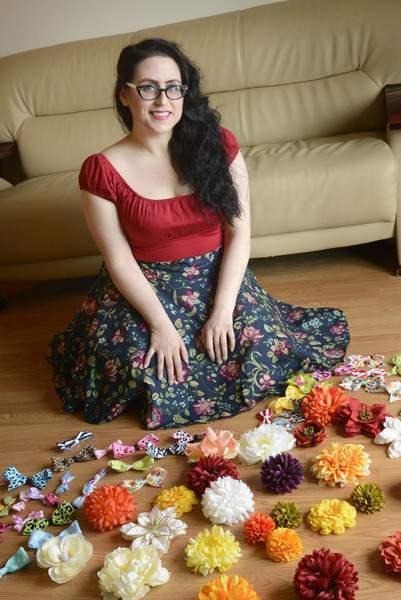 Samuel Hoffman | The Journal Gazette Hispanic Chamber of Commerce: Jessica Montalvo owns Flairware Boutique and creates flowers, bows and clothing. Michelle Davies | The Journal Gazette Phone screens that are in the process of being replaced by Cesar Ruiz, owner of Wayne PC Tech. Michelle Davies | The Journal Gazette Cesar Ruiz, owner of Wayne PC Tech, talks to a customer about her broken phone screen while in his shop on South Calhoun Street Monday afternoon. Michelle Davies | The Journal Gazette Cesar Ruiz, owner of Wayne PC Tech, works on repairing broken phone screens in his shop on South Calhoun Street Monday afternoon. Like many millennials, Jessica Montalvo embraces technology. 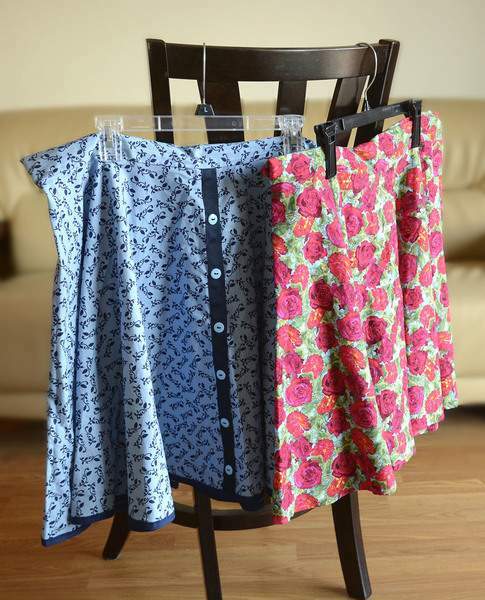 So when the 34-year-old Fort Wayne native wanted to launch a small retail business two years ago, she turned to the Internet. 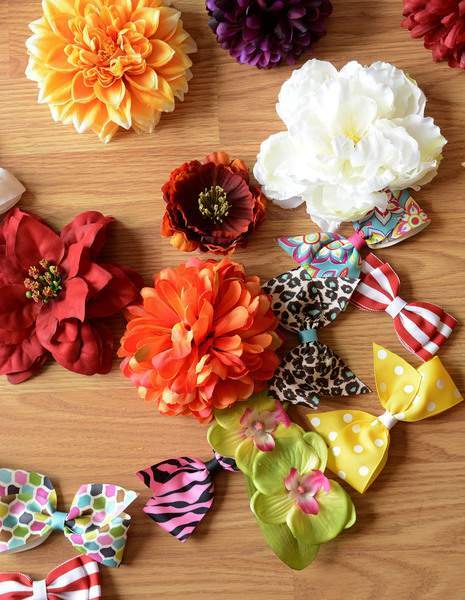 Flairware Boutique is an online-only shop that sells Montalvo’s handmade hair accessories, jewelry and clothing. But when Montalvo wanted the support of fellow business owners, she turned to a decidedly old-school option. She joined a chamber of commerce. And not just any chamber of commerce. Montalvo joined the Greater Fort Wayne Hispanic Chamber of Commerce. The group’s networking meetings, she said, raise awareness of her business. And guest speakers’ presentations help her develop as an entrepreneur. The Hispanic Chamber is celebrating its 25th anniversary this week with a reception and dinner at Ceruti’s Summit Park. The nonprofit dedicated to fostering the growth and development of Hispanic business has seen its membership increase dramatically in the past two years. The chamber now boasts 85 members, almost three times the 30 individuals and businesses on the roster in 2013, according to its president. Although the membership growth is impressive, the Hispanic Chamber’s duration might be even more so. Consider that the Fort Wayne Black Chamber of Commerce, which has about 75 members, didn’t officially form until 2012. John Dortch, president of the Black Chamber, applauds the Hispanic Chamber’s longevity. He’s unsure why local black business owners didn’t organize sooner. "It should have happened here many years ago," Dortch said. "I don’t have an answer for why it didn’t." Both minority organizations welcome members of all races. And they both have a membership in Greater Fort Wayne Inc., formerly the Greater Fort Wayne Chamber of Commerce. Greater Fort Wayne has 1,443 members, which it calls investors. It traces its chamber roots back more than 100 years. Leaders of the smaller chambers say their members’ needs aren’t met by the larger organization, which is the lead organization for economic development in the city and county. Miguel "Mike" Trevino, a charter member of the Hispanic Chamber, was its first president. His father, Joe Trevino, was a co-owner of the Don Pedro La Hacienda restaurants and also a charter chamber member. That first group of a dozen people founded the organization because Hispanic business owners often need basic skills training, including lessons on budgeting and tax planning while members of the Greater Fort Wayne Chamber typically were well-established entrepreneurs focused on later stages of business growth, Trevino said. The larger business organization also required a larger time commitment for leadership roles and higher dues than the minority-focused alternatives, he said. Both the Hispanic and Black chambers are volunteer-only organizations. 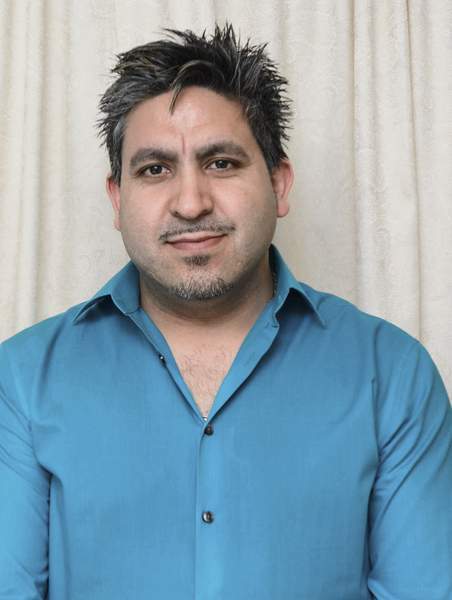 Local Hispanic business owners, who were members of various local Hispanic groups, also wanted to affiliate with the United States Hispanic Chamber of Commerce, said Trevino, who works for DLZ Indiana, an engineering and architectural firm. Twenty-five years ago, smaller Hispanic chambers were popping up around the country as the nationwide organization grew in membership and influence, he said. Each group had the same goals: promote new and existing businesses and influence politics, Trevino said. Local leaders also wanted to support the efforts of young Hispanics as they graduated from college and embarked on careers by mentoring them and helping them connect with job opportunities. It’s not always possible to quantify how much revenue a business brought in because of contacts made in a chamber of commerce, Trevino said. But he strongly believes that making connections with other professionals pays off. If an entrepreneur always keeps his nose to grindstone, business growth will plateau, he said. Chamber membership leads to new opportunities for sales, Trevino said. "There’s buying power in the Hispanic community," he said. 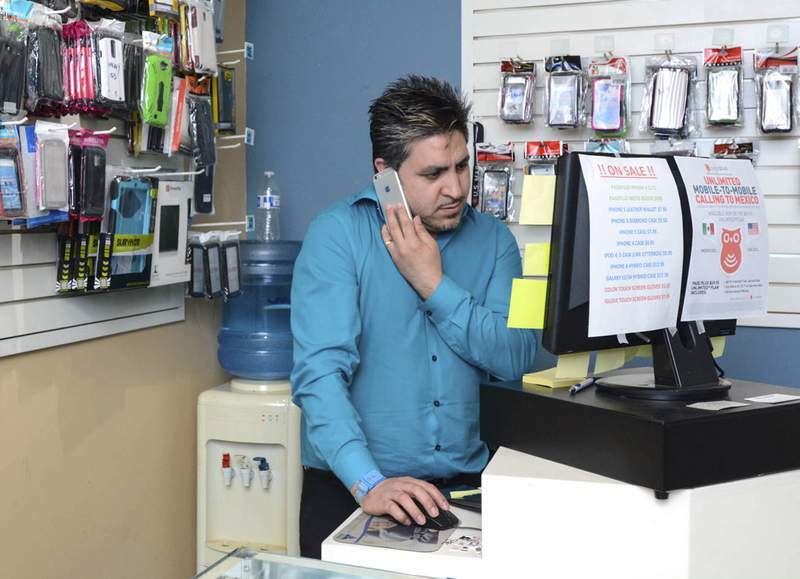 And that helps fuel the growth of Hispanic-owned businesses that cater to the community. In a five-year span from 2002 to 2007, the number of Latino-owned businesses in the U.S. jumped by 40 percent, according to Census Bureau data. Other local businesses have noticed. Corporate members of the Hispanic Chamber include the Fort Wayne TinCaps and Mad Ants, Comcast, Kroger, Lincoln Financial, NIPSCO, Fifth Third Bank, Vera Bradley and Parkview Health. Ben Miles, chief operating officer of Parkview Hospital and affiliates, has been a Hispanic Chamber board member for a little more than a year. Miles, who doesn’t have Latino heritage, moved to Fort Wayne from Michigan a little more than two years ago. One of the first people he met was Palermo Galindo, who is in his third year as president of the Hispanic Chamber. Galindo works full time as the Hispanic and immigrant liaison for the city of Fort Wayne. "The board leadership has been fantastic to work with," Miles said. "They’re not looking at me like I’m the white guy. We are all concerned leaders in the community." Miles sees a good balance between advancing the interests of local Hispanics and the community as a whole. Montalvo, the online business owner, also considers Galindo a friend and applauds his leadership of the Hispanic Chamber. "His forward thinking is really paving the way for new possibilities in collaboration," she said. The chamber has forged partnerships with Young Leaders of Northeast Indiana, Wunderkammer Company/Gallery, WBOI 89.1 FM, the local NPR station, and El Mexicano, the local Spanish language newspaper, among others. Like Montalvo, Cesar Ruiz is a young entrepreneur who has decided to devote some of his limited funds to pay dues in the Hispanic Chamber. The owner of Wayne PC Tech, a cellphone and computer repair business, is also the chamber’s vice president. Ruiz attended chamber meetings while attending IPFW, where he earned a bachelor’s degree in computer information systems. The 31-year-old went on to earn a master’s degree in information technology from Purdue University. While a student at IPFW, Ruiz was active in student government and a Hispanic student organization. It seemed natural, he said, that he would join a business-focused group after he launched his own store. Besides making contacts, he’s been able to learn from presentations about marketing, human resources and other topics. 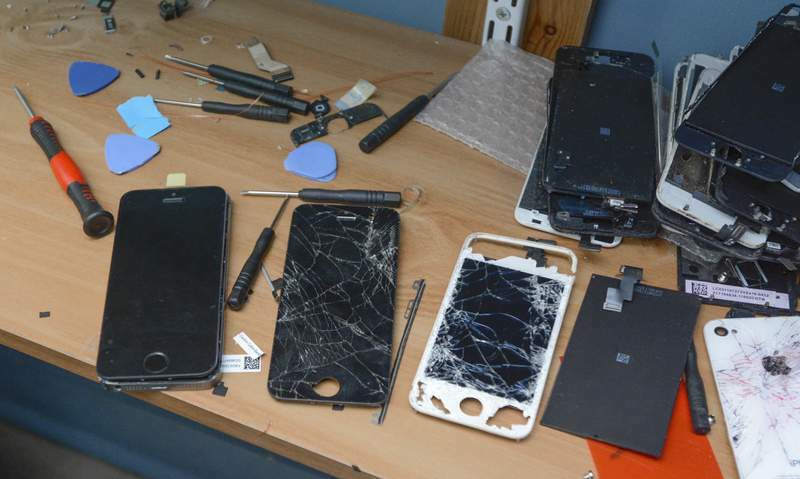 "That’s well worth $75 to learn all those different techniques and skills that people share with us," he said. Herb Hernandez, a retired attorney, was one of the Hispanic Chamber’s founding members. Now he does housing counseling for the Fort Wayne Urban League. The 66-year-old is proud of the chamber’s track record of sponsoring or co-sponsoring various events over the years, including Dia de los Muertos – or Day of the Dead – exhibits at the Fort Wayne Museum of Art, an entry in IPFW’s Mastodons on Parade and the Smithsonian Institution’s "Our Journeys/Our Stories: Portraits of Latino Achievement" exhibit at the History Center. The Hispanic Chamber meets quarterly for networking, sharing ideas and a meal. Membership has fluctuated over the years with the economy, Hernandez said. It’s a point Trevino also made. Membership dropped off during the Great Recession. As the economy heats back up, so has the membership list, Hernandez said. The group’s goal has always been to reach 100. "We’ll get that this year," he said.